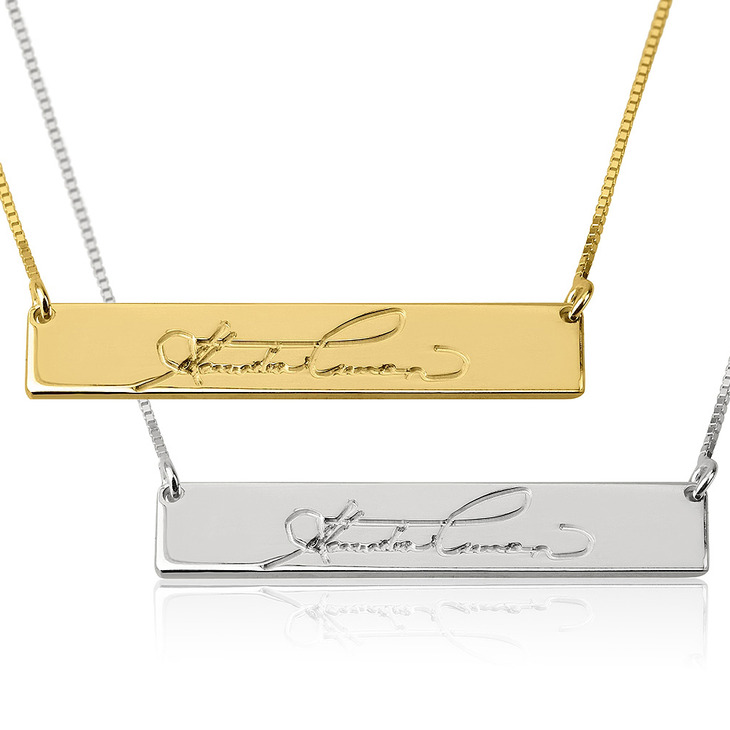 This exquisite Handwriting Bar Necklace is a simple and understated accessory, an elegant way to showcase the handwriting or signature of someone special in your life. 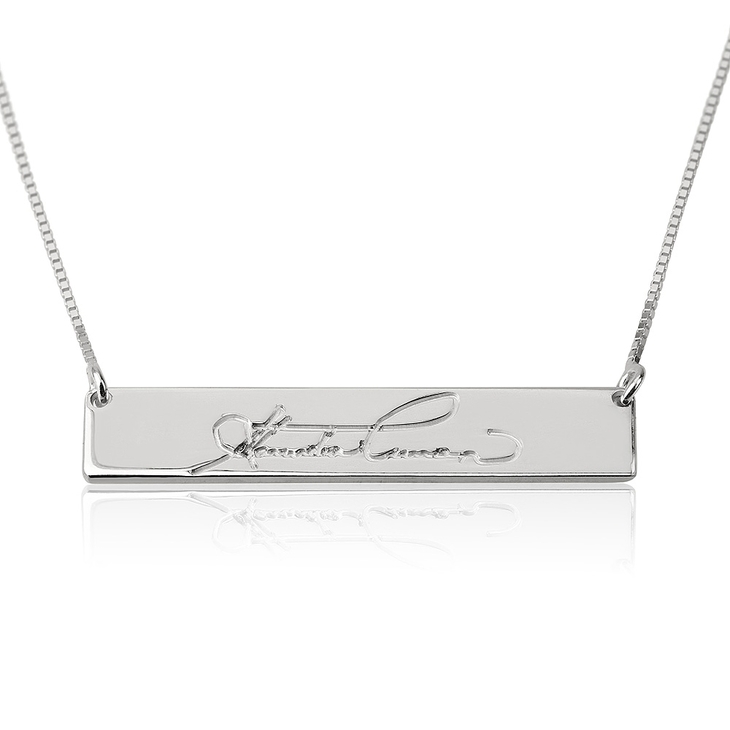 Send us a picture of any writing or signature, and we will custom engrave this on the finest quality sterling silver pendant, for a truly timeless piece you will treasure. Also available in rose gold and 24K gold plating, you'll fall head over heels with this one-of-a-kind bar necklace. Shop Now! Love it! Ordering one for my Mom! Hearing the receiver claim this was her favorite Christmas gift made this a 5 ⭐️! The look on her face was worth a million dollars. Thank you for the quality work. Love this bar necklace... Purchased as a gift for family members after my mothers death. BIG hit!